A lot happened in “Book of The Stranger,” and not just in terms of plot advancement and character development. I think with this episode we saw the show runners commenting on contemporary events and coming to grips with the show’s own somewhat troubled racial politics, as well as bringing to the fore some thematic elements that are intrinsic to the fact that George R.R. Martin is a late 20th/early 21st-century leftist American storyteller. I am referring specifically to the sequences in Meereen and Vaes Dorthrak. I believe that both of these sequences — Tyrion’s negotiations with the slavers and Daenerys’ conquest of the Dothraki — are intended to make us feel uncomfortable. And they largely succeed in this, despite a few narrative inconsistencies. 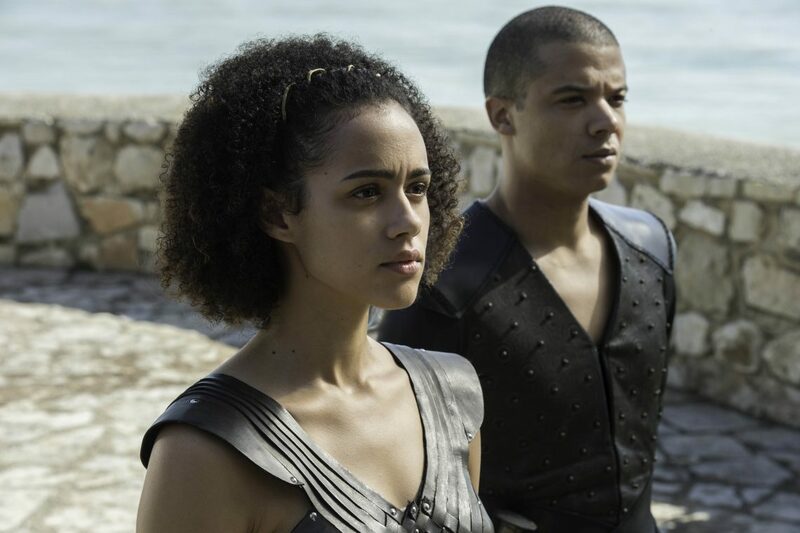 The scene with Tyrion, Grey Worm, Missandei and the slavers — and later the freedmen of Meereen — is essentially a study in privilege. Tyrion is trying to make peace with the slavers by offering them enough time to phase out slavery and replace it with some other, unspecified, arrangement. This makes sense to him from his position of privilege — he’s a lifelong aristocrat, after all — but for people like Grey Worm and Missandei, who have been at the business end of slavery all their lives, it’s a morally reprehensible and unacceptable solution. You can see their visceral discomfort and anger as Tyrion first proposes this deal and then offers the services of a group of prostitutes to seal it. They’re being asked to bring nuance into a situation that isn’t’ nuanced at all — slavery is unambiguously wrong, and they aren’t happy at all at any sort of compromise with the slavers. And Grey Worm is right — in the absence of Dany and her dragons, the slavers will betray Tyrion’s negotiated peace. Tyrion can’t see this, because from his privileged position, slavery — despite the fact that he wants to see it abolished as well — is just another position to be bargained over. His pragmatism is only possible because of his privilege. And in trying to compromise with the slavers, he is invalidating the lived experience of Missandei, Grey Worm, and every other slave, and denying them their full humanity at the same time. The parallels to current events in our world are almost too obvious to state here. I think this is the show trying to first, answer some criticism about its own problematic racial politics; second, commenting on real-world issues; and third, allowing some of Martin’s deeper thematic material — which is far more prevalent in the novels — to bubble to the surface. 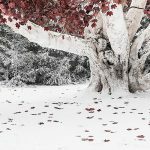 This comes out in Dany’s final scene as well. If we set aside a few details — like, how did that whole temple go up in flames like that so quickly? Did somebody douse the place in oil? How were all these mighty Khals suddenly herded into a corner where they couldn’t escape? How did the doors fall down just in time for Dany to emerge before she was squashed by a falling beam? If we forget about all of that for a second, it’s clear that — unlike her previous victories — she wasn’t liberating anyone here. She wasn’t righting any wrongs or dispensing any justice. She conquered the Dothraki by murdering their assembled Khals brutally and ruthlessly. The Dothraki outside weren’t kneeling in adulation, they were kneeling in fear. 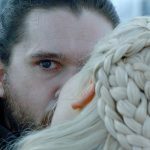 And here’s why this is a crucial turning point for Dany — she liked it. She liked taking power by fire and blood the way Targaryens always have. One of Martin’s central themes in this story is seeking and attaining power, and what that does to people. Whatever may have been animating Dany’s crusade up to this point, it seems to have been replaced by a conqueror’s will to power. Great piece Abe and I liked these points as well in the Podcast. If I could go back and change my score I would bump my mini score for Tyrion’s diplomacy faux pas (since I boiled it down too much and focused on where the narrative is going rather than the catalystic nature of Tyrion’s diplomacy on the free people.) I agree that his involvement is creating some stressful conditions (especially) within Dany’s inner circle with Missendei and Grey Worm. So my overall score would be 80 out of 100. It seems like there’s not only conflict between the people she’s trying to rule but perhaps one within Dany herself. I feel like what I am hearing here is that if you want power you must dominate over some people to get it. After you get that power the real is struggle is what do you have to do in order to sustain it? (Perhaps that’s what at the center of Dany’s inner conflict?) Do you use diplomacy? ; subjugation? If you are against slavery as a ruler and just conquered several cities that have always been known for that, what do you in each of those cities to insure it doesn’t come back? The conditions at Meereen, Yunkai and Astapor have been building (as an example, the scenes with the Red Priest talking about what the ex-slaves are going to do while Dany is gone about the Sons of the Harpy.) They look like they are heading towards civil war within Meereen, Yunkai, Astapor. Wouldn’t it be all out war with Volantis? Did Dany conquer Volantis yet? I don’t think so, which is probably why Tyrion suggest abolishing slavery in 7 years. If Dany just told them to outright abolish slavery they would have probably consider it an act of war, which would have probably triggered a war with them (while she was away.) As things are anyway, Dany has all of the Dothraki at her disposal now. She could just end up attacking Volantis anyways right? Is her victory over the Dothraki entitle herself to order them to attack Volantis or would they do it because the Khaleesi now makes decisions for the Dothraki (in their culture)? Is Dany a living contradiction? She doesn’t want slavery, however being a ruler over your people kind of forces a group of people to do the bidding of one person, Does her own ruling techniques undue her desires for free citizenry? One things for sure, the unrest of the people (as part of political struggle between groups) on Dany’s side of the world is a lot more clearer than in Westeros at King’s Landing (in the show) as Roberto brought up again in the Pod. Sorry I left a hanging sentence here. The conditions that have been building in Meereen, Yunkai and Astapor (tension between those who oppose slavery and those who don’t) have been a around for a number of episodes which is why I didn’t focus my comments on the Slavery issues. However Tyrion brought them more into the inner circle with his diplomacy, which I should have noted and registered in my score.